I realize this is the last week before Christmas. And I realize you are thinking that this may be a bit late for gift recommendations. My theory is that when the chaos of Christmas comes and goes people have some down time and best of all they have Christmas bonuses and checks. Gift returns happen. Maybe you missed the mark just a bit. This will be the time to purchase a gift or an item that you did not know you really wanted! There are so many great small businesses in our USofA with brilliant products for those that love the firearm industry. FYI, I am listing products that I am not sponsored by. I do have some of my jewelry in here but these are items outside of my world that I think are awesome. But of course I will mention my amazing sponsors below at the end of this article. Hope you enjoy my list and Merry Christmas to you all. And most of all may 2018 be an amazing year for you! Two years ago I was one of several hosts for a new concept tv shopping network called GunTV. Well the show did not make it but I became friends with my awesome co-hosts. It has been amazing to watch how each one has moved forward in their lives and careers since then. One gal in particular is the lovely Amy Robbins who started a line of athletic conceal carry garments for women called Alexo Athletica. Her number one product is The Signature Pant. A high rise tight that can carry your pistol and/or a cell phone, lipstick, cards, you name it. Amy has outwear jackets as well. These items will make your power walks and runs or just the quick run to the grocery store safe and fashionable. I have followed the crew from Skull Bound TV and the host Jana Waller has a side business making stunning mounts covered in beads. Hours of handmade work attaching the beads and stones to deer or various skulls and sells them to some very lucky people. Worth every fabulous penny. How could you not want these mounted on your wall. Centerpiece! @skullboundtv on Instagram. You can purchase at The Native in Jackson Hole, Wyoming or contact Janna directly through skullboundtv website email for custom orders. Image shown is a custom order. I am sure you have already heard of these guys. For no nonsense humor and “stuff it to the man” boldness you should follow this company on FB, Instagram and Youtube. They are not shy about expressing their opinions which actually is a breath of fresh air in our overly PC world these days. Let’s just say they get your attention whether or not you like their sense of humor or opinions. Their website and brick and mortar location offer great products of gun accessories, logo clothing, patches, shoes and more. You will have a great time going through their website. Tons of awesome stuff! Check it out. Of course I can’t let this go by without mentioning my bullet/gun jewelry. I have two beautiful pieces for her. I made a mold of my AR10 bolt face and created these Fine Silver AR bolt face pendant necklaces. The center firing pin hole is filled in with a gorgeous CZ. It hangs from a sterling silver ball chain. My other necklace is made of two 308 case heads that sandwich semi-precious amethyst or peridot stones. The case heads have been electroplated by a jeweler in sterling silver or 18K gold. The chains are either sterling silver or gold-filled. Fab! Can be found right here! Click above on Shopping and they can be yours. One of my favorite sites for unique gun accessory products is from GunGoddess.com. Mostly for women but there are products for men too you can find creative items in awesome colors and patterns. Jewelry, gun cases, bags, coordinating gun parts, clothing and more. I also love Gunhandbags.com. 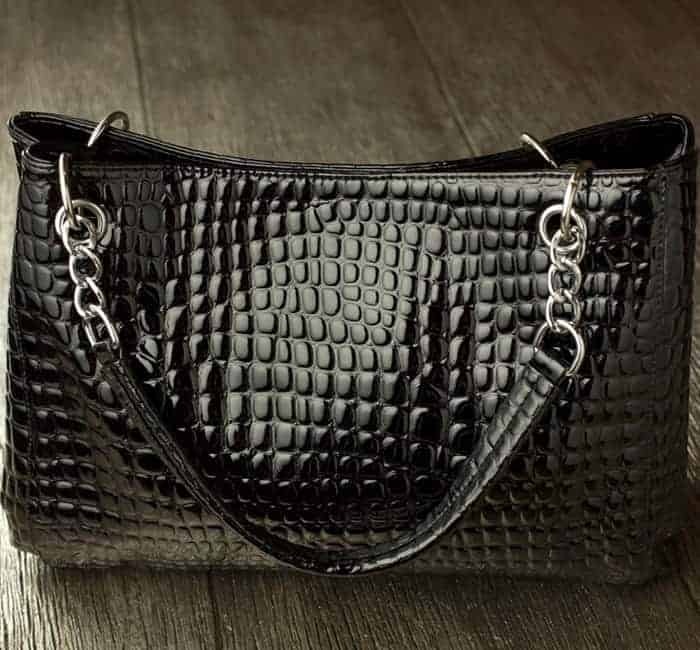 You guessed it, they offer many beautiful and practical handbags and packs for conceal carry as well as jewelry and various items. Great selection of purses, clutches and more. Love! That is my list! There are many more great companies and products out there and especially the companies that make my life amazing using their products. My awesome sponsors are Berger Bullets, Gemtech Silencers, ESS Eye Pro, Rainier Arms, and Developmental Weapon Systems. Thank you all and Merry Christmas and Happy New Year!